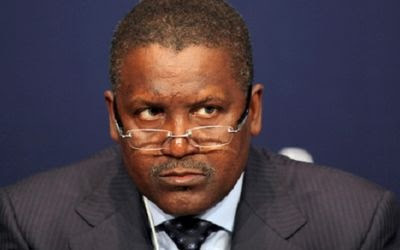 A cement factory of Aliko Dangote, Africa's richest man and Nigerian business tycoon, has been attacked by protesters in Ethiopia's Oromia region, the regional government has said in a statement. The protests were in response to the deaths of at least 55 people in a stampede at a religious festival of the Oromo people on Sunday. The protesters burnt trucks and machinery at the Dangote Cement Factory in Ada Berga, the state-affiliated Fana Broadcasting Corporate reports. A pro-opposition Amharic-language website, ZeHabesha.com, also covered the story saying protesters allegedly freed prisoners after setting ablaze a police station in the Bule Hora area. A court and government-owned vehicles were also torched, it adds. Activists say the security forces opened fire at the festival, causing the stampede.